Warning: This is not a happy post. This is, in fact, a very not-happy post. It deals with genocide. We were only in Phnom Penh for a few days, but it really warrants its own blog post. We knew a basic idea of the Khmer Rouge before we got to Cambodia: a group took over the place and killed a bunch of people. That was about the extent of my knowledge. Once we got there, though, we realized we had no idea 1) how recent it was and 2) just how many people were killed during the regime’s rule. A full quarter of the population of Cambodia was killed in the late 1970s. Phnom Penh wasn’t an easy place to visit, but it was powerful and an important part of our travels. 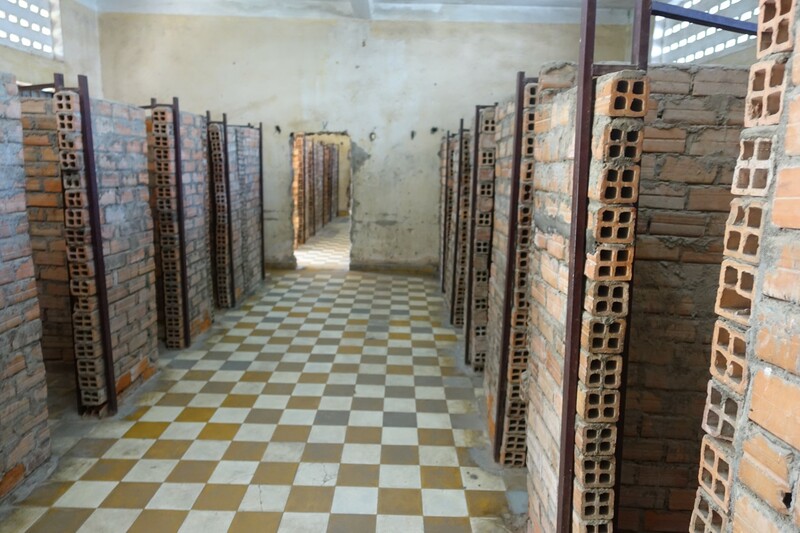 S-21 was a high-school-turned-prison during the Khmer Rouge’s time of power. 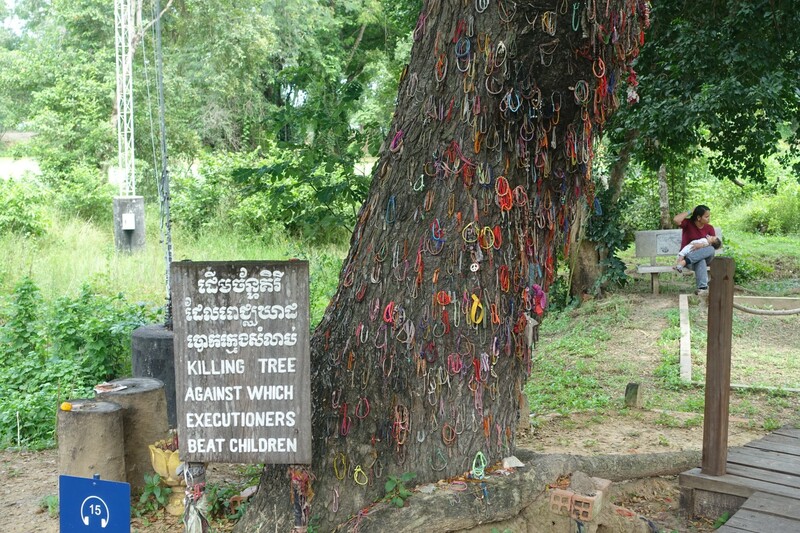 It is now the Tuol Sleng Genocide Museum. Pictures of the people held there cover the walls, tiny cells fill what were once prisons, and heartbreaking stories are everywhere. S-21 school room turned prison cells. One of the (many) sights that had me choked up was that some of the pictures showed women holding babies in their arms. Seeing all this and then walking out into a large grassy courtyard dotted with trees was surreal, and we left feeling stunned. 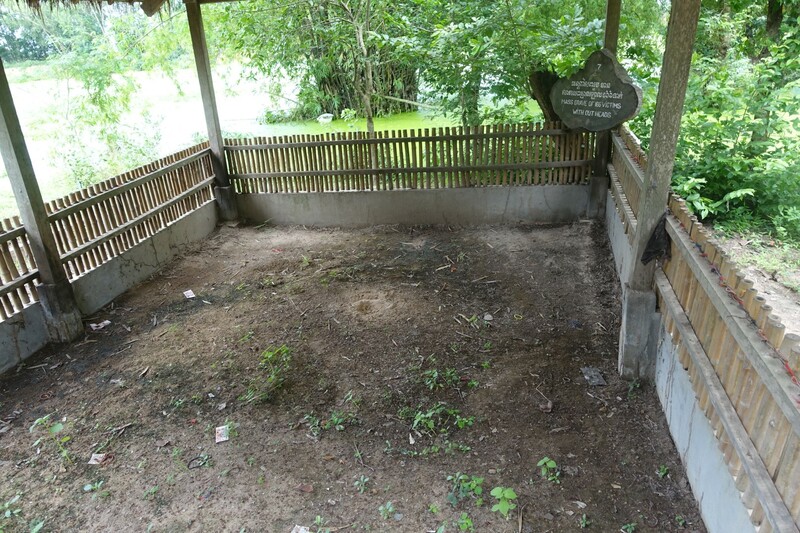 After S-21, we went out to a mass burial site, often called The Killing Fields. From the giant monument filled with bones to the Killing Tree to the warning to stay on the raised walkways since bones and scraps of clothing still come to the surface every time it rains and they don’t want you to step on them, it was a hard place to get through. 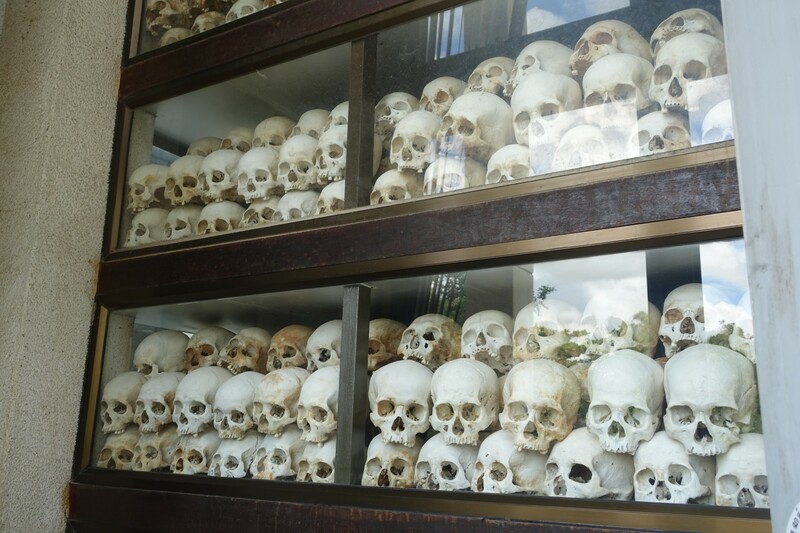 The Khmer Rouge murdered around two million people while they ruled, specifically targeting the intellectuals of the country. The aftereffects are still being felt across Cambodia as it fights against a lack of Khmer doctors and other types of professionals, which is deeply unfortunate for such a beautiful, friendly country. We hope Cambodia recovers from that terrible time and continues to grow and progress despite the difficulties it has faced. After that sobering reminder of humanity, we were excited to head to our next destination: Chaing Mai, Thailand!